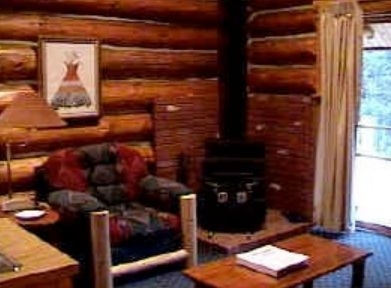 The Alta Ranch's Aspen cabin offers cozy accommodations for up to 4 people. It is ideal for a couple or a couple with 1-2 children. 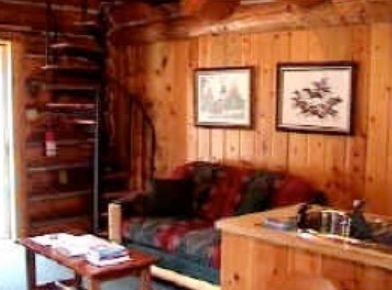 It features a master bedroom with queen bed, loft with two twin beds accessible by spiral staircase, bathroom with stall shower, living/dining room with wood stove, fully equipped kitchen, and porch overlooking the river. 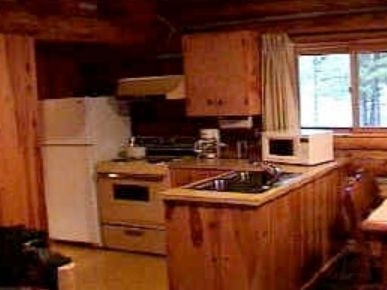 At 600 square feet, it is our smallest cabin. 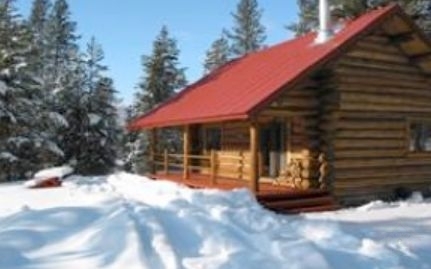 The Aspen cabin is situated about 200 feet from the river. It has a private campfire site nestled in the pines right next to the river.